The Federal Communications Commission will move ahead with its vote to kill net neutrality rules next week despite an unresolved court case that could strip away even more consumer protections. 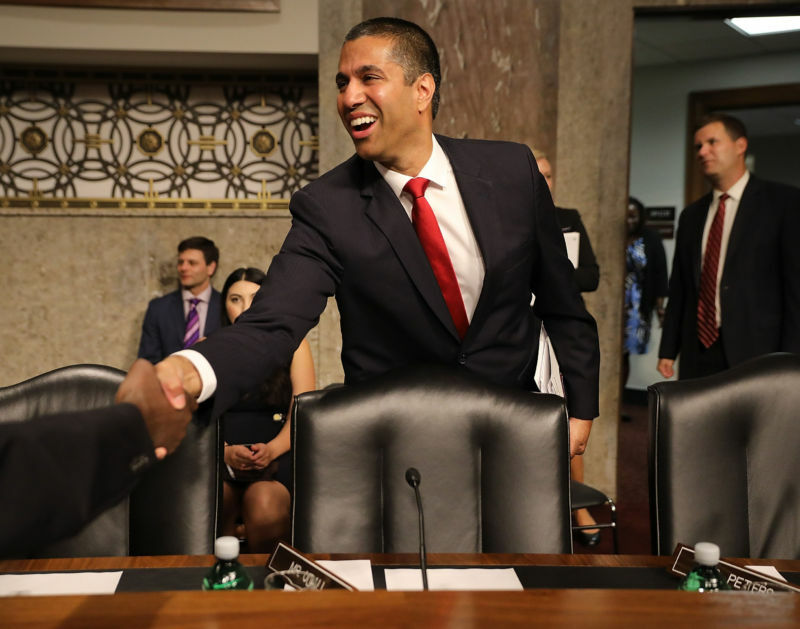 FCC Chairman Ajit Pai says that net neutrality rules aren't needed because the Federal Trade Commission can protect consumers from broadband providers. But a pending court case involving AT&T could strip the FTC of its regulatory authority over AT&T and similar ISPs. A few dozen consumer advocacy groups and the City of New York urged Pai to delay the net neutrality-killing vote in a letter today. If the FCC eliminates its rules and the court case goes AT&T's way, there would be a "'regulatory gap' that would leave consumers utterly unprotected," the letter said. When contacted by Ars, Pai's office issued this statement in response to the letter: "This is just evidence that supporters of heavy-handed Internet regulations are becoming more desperate by the day as their effort to defeat Chairman Pai's plan to restore Internet freedom has stalled. The vote will proceed as scheduled on December 14."